Go ahead and get creative with this one! Sauté whatever veggies you have with this flavorful blend of rice vinegar, liquid aminos, sesame oil, turmeric, harissa and nutritional yeast. Serve your veggies over quinoa mixed with hummus and lime. Sprinkle with avocado and toasted pumpkin seeds or favorite nut or seed. Yum! Yum! Yum! 1. Mix cooked quinoa, hummus and lime. Set aside. 2. Sautee onions in sesame oil until soft. Add other veggies, vinegar, aminos and spices, stir and cook until just softened. Mix in nutritional yeast. 3. Put 1 cup quinoa mixture in bowl. 4. Top generously with veggie mix. 5. Top with avocado and seeds or nuts. 6. Serve. To cook quinoa, first make sure your quinoa is rinsed. Then cook 1 cup of quinoa to 2 cups of water on the stove for about 15-20 minutes until water is absorbed, stirring occasionally, then fluff with a fork and let sit for a few minutes. Where can I find the liquid aminos? I see they are used in most of your recipes. I have ordered your book today. People’s Pharmacy was awesome today with you all. After watching the clip of your trip to China and all those seniors who were over 100 I was very excited about their way of life and nutrition. I read your article about NMN but think I would stick to the foods that will create the same formula in my body. Next week I plan on purchasing your book and look forward to reading it. When did you learn how to speak Chinese? That is not an easy language to learn. 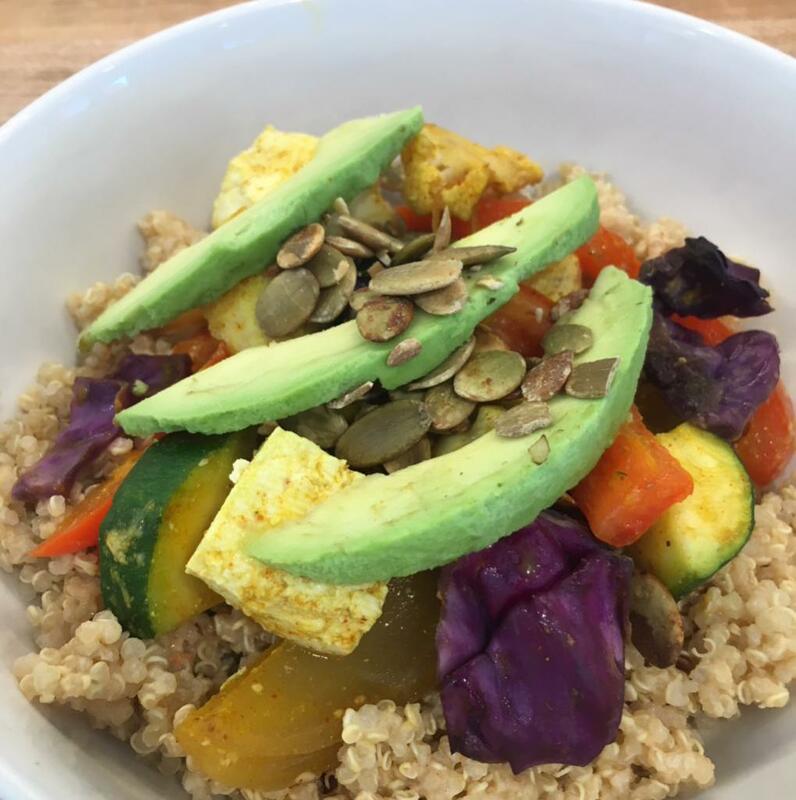 This weekend I am going to try the Buddha Bowl and am looking forward to serving it to my family. I love your posts each week. They give me such an uplift. You two are the best.